Compassion is one of the most important things we can teach to our children. While many children show a sense of compassion in their early years without being taught, that can quickly vanish as they watch their peers, observe how people interact with one another, and take in different messages through television. Your child may show compassion to others at a younger age, but society has a way of changing that. Many adults today even have trouble showing compassion in some situations. Teaching our children compassion as they age will hopefully help them to become more compassionate in later years. While it may be a stretch, just imagine how this world would change if every parent taught their child compassion. Maybe, just maybe, we would finally see the “world peace” we have been hoping for for so long. At Inch By Inch Child Care, we ensure each of our students is shown compassion and treats others with compassion as well. Being kind is important to our child care center and we provide students with a caring and supportive environment. While we are helping to teach our students how to be compassionate towards others, it is the parent’s job to do the same. 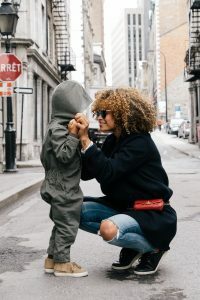 In this blog, we are going to give parents some tips to teach their child compassion in a way that allows the child to develop kindness as a behavioral trait that will stick with them throughout the rest of their lives. Read on to learn different ways of teaching your kiddos how to be compassionate humans. Surely, you know by now that you are a huge role model in your child’s life and that they learn a lot just from watching you. They notice the way you act, the way you treat others, and the kind of person you are. Children learn many of the mannerisms from their parents, which is why it is so important to act how you are telling them to act. If you tell them to be polite and kind to other but treat someone with disrespect, they will pick up on it. If you want to teach your child how to be compassionate, be compassionate yourself. You can do this in many ways. Start by talking about people and treating people with respect and kindness. Your children will believe that this is okay to do and mimic the way you act towards others. If you see a chance to show some compassion to someone else, do it. This will show your child that everyone needs to be shown compassion and how easy it can be. Even if you don’t have to time to stop and help someone, or even if you are not the biggest fan of somebody in need, helping them and treating them kindly will give your child the right message, and you may even start showing more compassion without even thinking about it. In a Psychology Today article, they mention that showing emotions related to compassion, such as kindness and empathy, as well as emotions you feel after you act compassionately, like satisfaction and pride, can help your child understand these feelings more. This will allow them to understand and sense these emotions in others and themselves better. Obviously, showing your child compassion by treating them with compassion is one of the best ways to help them understand it. If you treat your child differently and don’t show them that you care how they feel or want to help them feel better, they will sense that as well. Treating your children compassionately can help them understand it better in a few ways. First, they will be able to understand if from their angle. When a person treats us with compassion, it makes us feel respected and cared for. Showing your child that you understand what they are feeling and are willing to help puts them on the receiving side of compassion. They will start to understand that when they treat others with kindness, respect, and care, they will be helping someone else feel this way. Second, showing them compassion will help them understand how you are acting and why. When we see others in need, it is hard to know exactly how they are feeling or what they need — just like your child when they need something from you. But they know how they feel and they see you acting accordingly. This will help them understand that we should treat others with compassion even though we don’t always know what they need, want, or feel. While showing compassion is a great way to show your child how they should act, pointing out other acts of compassion can help your child see that it is not only a family thing and shouldn’t only be a family thing. If you see someone act compassionately as you walk through the grocery store with your child, point it out to them and explain to them why it is important. This also works while watching movies and television shows with your children. Kids programs and movies are great at showing obvious and subtle acts of compassion. Point them out to your child and talk about them. If you see something on TV that doesn’t show these kind characteristics, ask your child why this was wrong and how they would have responded to the situation. This will help give your child an understanding of how to act and how not to act as well as allow them to mentally practice and prepare for compassionate situations. Feelings are a huge part of compassion and helping your child understand different emotions and feelings can help them understand compassion. They will get a chance to better understand how people act when they are feeling a certain way and that they still deserve compassion. People may act unkind when they are feeling a certain way, but your child should understand that this does not give them a reason to act the same way back. Teach your child the popular saying, “Treat others how you want to be treated.” Ask them if they would want someone to treat them unkindly if they were already upset or feeling down, putting them in other people’s shoes can often help them see it in a different perspective. While you may be thinking “shouldn’t they be compassionate to everyone?” just remember, practice makes perfect. 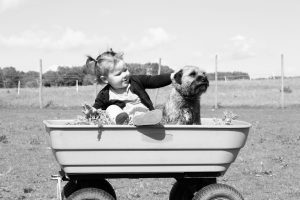 A Huffington Post article mentions that getting a pet for your child to care for and love can help them teach compassion. Pets are a great way to teach your child responsibility as well as compassion. Pets are kind of helpless and must be cared for by their owners, which makes them the perfect recipient of compassion from your child. Teach them how to care for the pet, to love them, and to always show kindness to the pet. However, we know that pets are not for everyone. But if your child has a younger sibling, it can work the same way. Obviously, siblings fight and give each other a hard time, but overall showing compassion towards a sibling is important and can help your kids understand how they should act to everyone, not just family and not just friends. Teaching your child compassion is important. By taking the time to teach your child, they are more likely to develop this as a characteristic and carry it with them throughout their entire lives. At Inch By Inch Child Care, we demonstrate compassion on a daily basis and help our students do the same. 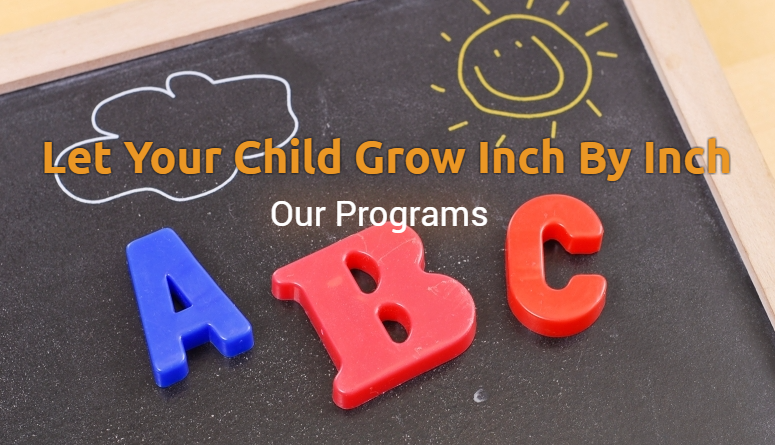 Our child care center can give your children an extra boost and teach them how to be compassionate. Learn more about our center, schedule a tour, and contact us today with any questions you may have! And don’t forget to be compassionate.